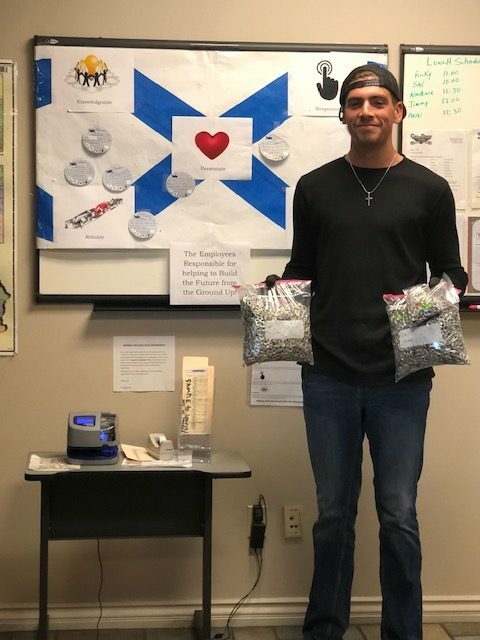 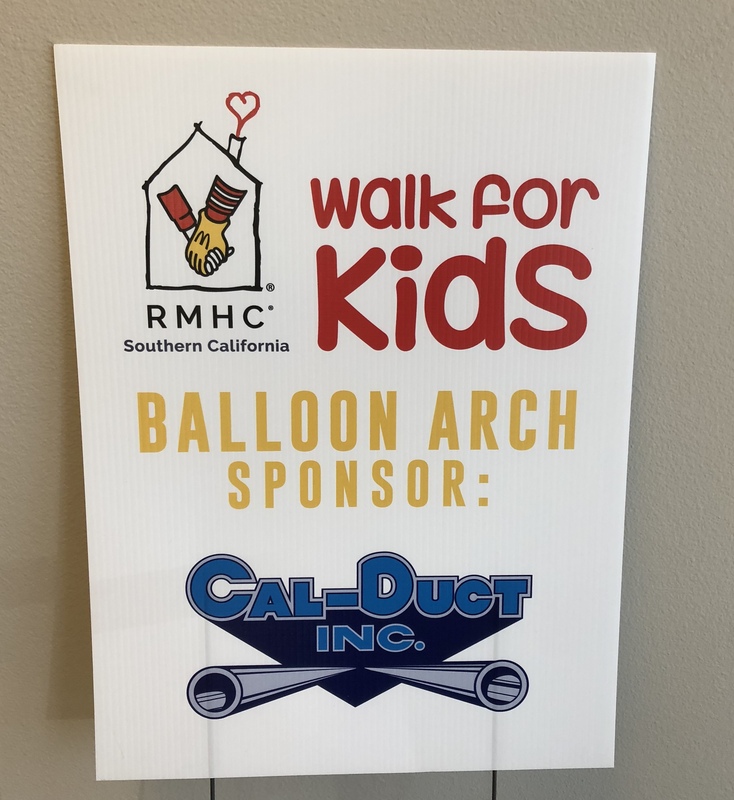 Giving something back to the community is a large part of what Cal-Duct, Inc. is all about. 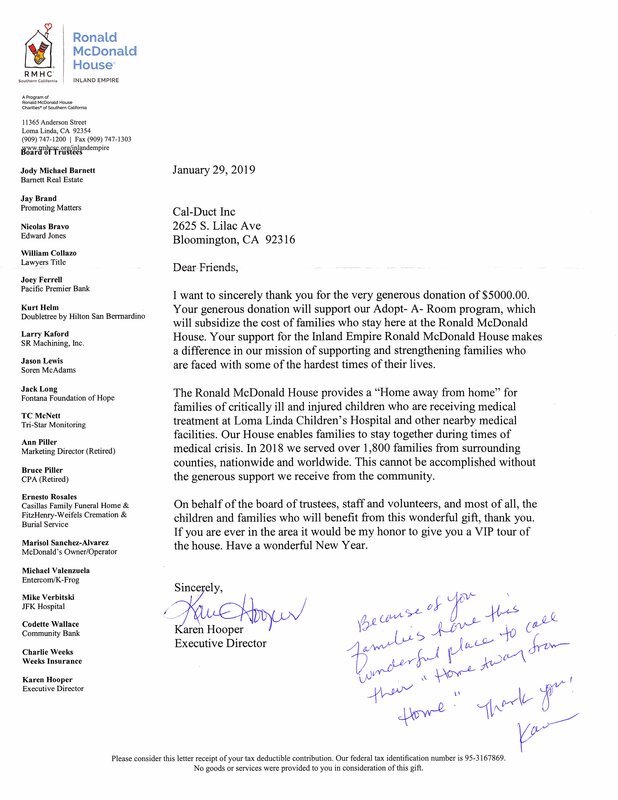 We are pleased to actively support a variety of local charities and fundraiser events. 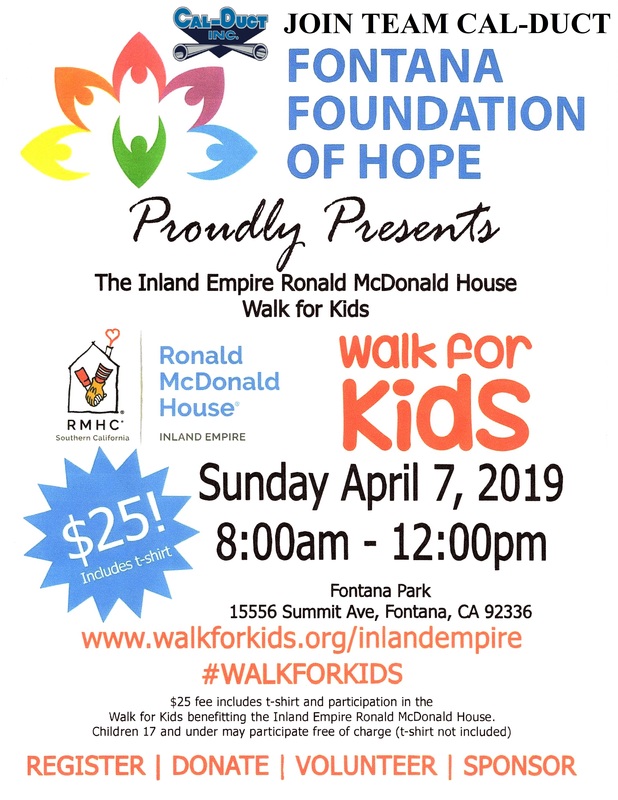 Join us on April 7th in Fontana as we support the Ronald McDonald House with the Walk for Kids. 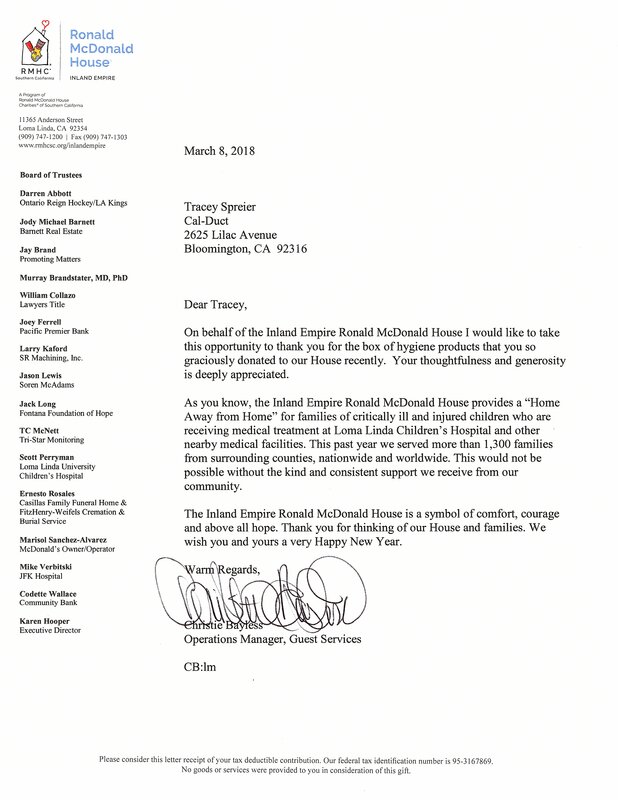 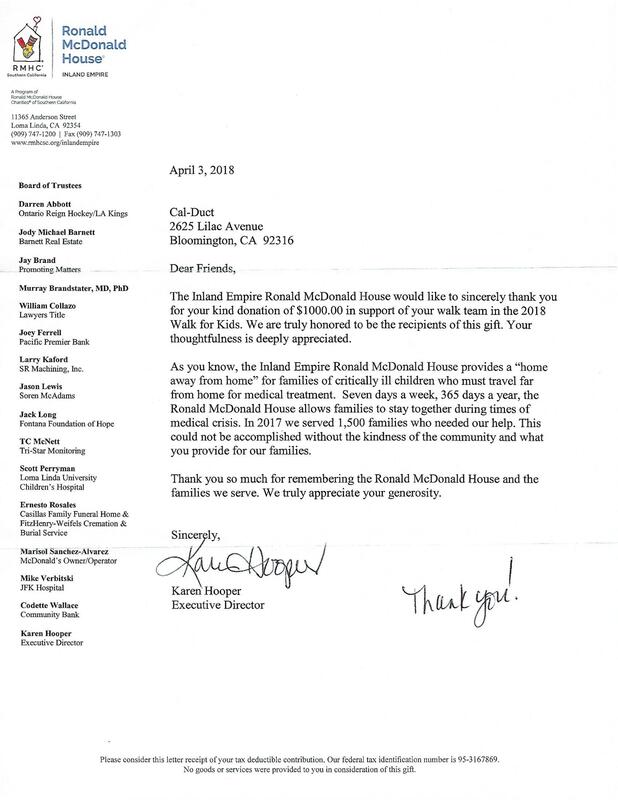 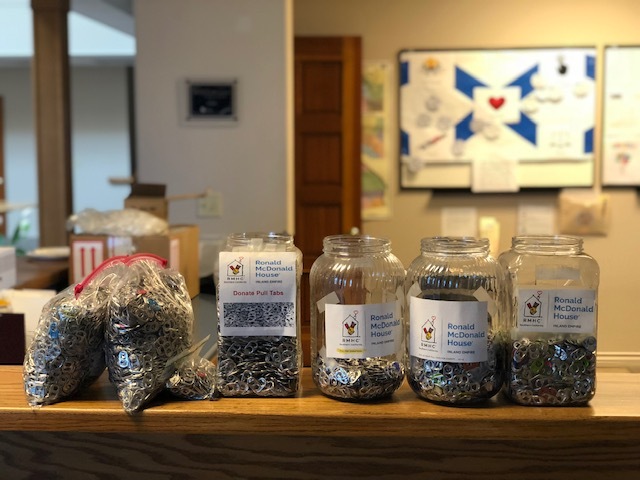 We recently became involved in the Ronald McDonald House Charities Adopt-a-Room Program for the Loma Linda Ronald McDonald House. 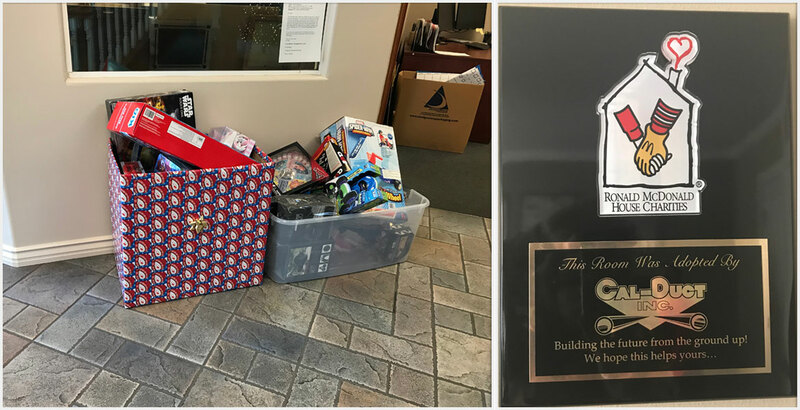 We hold quarterly toy drives and are always collecting donation items for the families in need. 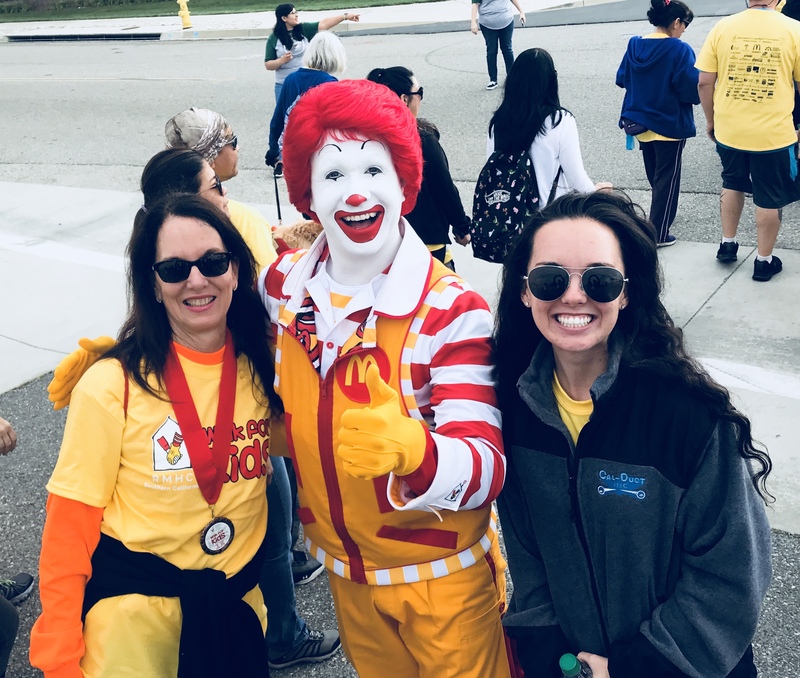 Camp Ronald McDonald for Good Times provides a positive long-lasting impact on children with cancer and their families through fun-filled, medically supervised, cost-free, year-round camp programs.